Tyler R. Tichelaar, seventh generation Marquette resident, has a Ph.D. in Literature from Western Michigan University, and Bachelor and Master’s Degrees from Northern Michigan University. Tyler is President of the Upper Peninsula Publishers and Authors Association. 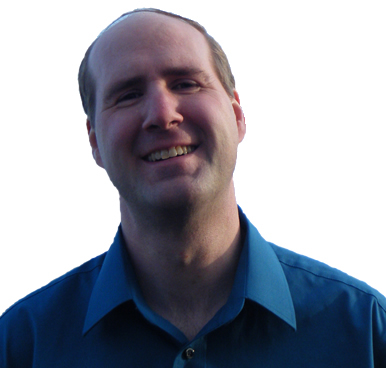 He is the owner of Superior Book Promotions, a professional editing service. Tyler lives in Marquette, Michigan where the roar of Lake Superior, mountains of snow, and sandstone architecture inspire his writing. To date, he has written seven novels set in the Marquette area, including “The Marquette Trilogy,” and the non-fiction history book “My Marquette.” He is also the author of two volumes of literary criticism—“The Gothic Wanderer” and “King Arthur’s Children”—and an upcoming series about King Arthur and his descendants. Susan: Welcome, Tyler. Wow, seven novels now and they’re all set in Marquette, Michigan. How do you find so much material in one town and how is this novel different from the others? Tyler: Thanks, Susan. I’m surprised too, but when you consider Marquette was founded in 1849 and how many people have lived there over the course of all those years and my novels span different parts of the city’s history, there’s no end of possibilities for novels, and often, a minor character in a novel catches my attention, making me want to explore that character more and make him or her the main character in another book. That’s the case with “The Best Place.” The character Lyla, who previously had brief appearances in my novels “The Queen City: The Marquette Trilogy, Book Two” and “Narrow Lives” deserved her own novel. Susan: So what about Lyla made you decide she deserved her own book? Tyler: I didn’t decide it really. She insisted I tell her story. I set out to write a very different book that would have been more about the characters of Alan, Sybil, and Diana, but they all got pushed to the sidelines. Somehow, Lyla decided the next book would be about her even though her story didn’t have much to do with theirs at first, but she kept barging in, demanding I tell her story, until there wasn’t room for much of the other characters’ stories any longer. It took a long time to sort it out, trying to decide whether to write in third person or have multiple narrators, but I finally gave in and let Lyla tell the whole story because her story really is fascinating, beginning with her childhood and how she ends up growing up in Marquette’s Holy Family Orphanage. Susan: And what was it like for her growing up in the orphanage? Tyler: Well, it was a lot rougher than it was for Little Orphan Annie. Unlike Annie, no Daddy Warbucks comes to rescue Lyla from the orphanage. Oddly, I didn’t reference that comic strip in the book, but I’m sure Lyla would have just laughed at it. Lyla is pretty bitter as the result of her orphanage experience. Her father left the family when she was five years old. He was a Finnish American who decided to leave the U.S. during the Great Depression to go to Karelia, a Finnish province under Communist Russia’s control. It’s not a well-known part of history today, but many Finnish Americans left the United States to live in Karelia during the Great Depression, believing America had failed them and that Communism was better. Most of those people realized their mistake only when it was too late. Most families also migrated together, but Lyla’s father goes ahead of his family, planning to send for them later, only they never hear from him again for reasons they don’t know but can imagine are not pleasant. Then when Lyla is ten, her mother dies. Her only sister, Jessie, gets adopted by her piano teacher, Miss Bergmann, but for reasons Lyla never understands, Miss Bergmann doesn’t adopt Lyla. And even though Lyla was raised as a Finnish Lutheran, she’s placed in the Catholic orphanage and ultimately grows up to be Catholic, with mixed feelings about her religion as a result. Susan: That’s really fascinating about Finnish Americans going to Russia, and you said that’s all historical, but what about the orphanage itself? What kind of historical detail did you need to include there? Tyler: I read a lot of newspaper articles and did research online about the Holy Family Orphanage in Marquette. There are still people alive who were raised in it. It opened its doors in 1915 and closed them in the 1960s. Today it’s an abandoned building and the city keeps threatening to tear it down. It’s also rumored to be haunted. Only a small part of the novel takes place at the orphanage, but I did enough research to get an idea of what it looked like inside, how it was laid out, what the daily regimen of the orphans would have been around 1938-1942, the years Lyla lived there, even to their helping to raise farm animals. Since Lyla goes there at age ten and the orphans all had to leave at age fourteen, the scenes there are limited, but the effects of being raised there and feeling unwanted haunt Lyla all her life. At fourteen, the orphans were sent out to work, so Lyla’s work career begins then when she goes to be housekeeper to two elderly ladies. Susan: What do you think the orphanage means to the people of Marquette today? Tyler: I think it was a very sad place for everyone. Various interviews I’ve read or people I’ve talked to vary in their reports of what life was like there. I’ve even read separate interviews by the same person that come off as positive and negative. It’s clear that the community supported the orphanage and the local businesses and community did a lot to help the orphans have nice Christmases, but that’s still not the same as being raised by loving parents. Also, in those days families often could not afford to support all their children so even if you had parents, you might end up there until the family could afford to feed you and take you back—Marquette also had a poor house, but this was more a poor house for children. As a result, some children grew up there from infancy, while others might only be there for a short time. The building itself—it’s on the front cover of the novel—is a large institutional, cold looking building. We all know how tough Catholic nuns supposedly were, but I think the important thing is not to make generalizations. Lyla is very unhappy at the orphanage. She has a negative attitude about most things, however, so it’s important to remember her opinion of the orphanage is solely her opinion. Lyla’s best friend, Bel, grew up with her at the orphanage, but she mostly has happy memories of living there. People simply have different perspectives, and it’s the same here today—many want the building saved, turned into an art school or condominium or something useful, while others think it’s an eyesore that should be torn down. Myself, I think the loss of any old building is sad, especially a place like the Holy Family Orphanage that served thousands of children. It deserves a happy ending. 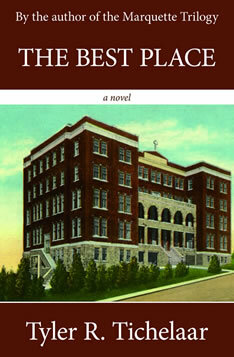 I should note, though, that it is not “the best place” of the book’s title. You’ll have to read the book to find out where “the best place” is. Susan: So the book is then Lyla’s entire life story since you mention she becomes a housekeeper? Tyler: Yes, it tells her story throughout her life, ending in the summer of 2005 when she’s seventy-seven and several events in her life come together, making her think back on her life and reassess her story and come to new realizations about it. Susan: Why did you end the story in the year 2005 rather than some other year? Tyler: I mentioned that Lyla’s father is Finnish, but you’ll notice her last name is Hopewell. Once her husband supposedly abandoned her, Lyla’s mother was ashamed that she had been married to a Communist, so she changed their name back to her maiden name. So Lyla grows up not knowing anything about her Finnish heritage. But every year Finn Fest is held somewhere in the United States, and in 2005 it was held in Marquette, so I decided it would be appropriate and fun for Lyla to attend the 2005 Finn Fest—a celebration of all things Finnish—as a way to get in touch with her past. Susan: 2005 is pretty recent, so does that make the book a departure from your usual historical fiction? Tyler: No, because Lyla keeps thinking back on her past, which includes living in the orphanage during the Great Depression, her life during World War II, etc. And even setting a novel in 2005 is writing historical fiction. I knew in 2005 that Finn Fest would be a great event to include in a novel so I kept all the articles and brochures from it at the time. Not being Finnish myself, I didn’t actually attend Finn Fest (now I wish I had), but the research I did was enough to create a believable scene around it in the novel. And this book was in my head from at least 2006, but it didn’t all get sorted out so that Lyla took over until a couple of years ago. Even so, I had to keep checking details, and trying to remember what Marquette was like in 2005. Since I was writing historical fiction, I decided to focus also on how Marquette has changed since then so I chose restaurants and other businesses that no longer are around to capture what Marquette was like in 2005—to create a kind of summer 2005 time capsule for Marquette in the novel’s pages. One of my favorite places I mentioned was The Pancake House, which was a short-lived restaurant in Marquette, but it was open all night and offered free cab rides there. My character, Sybil, who briefly appeared in my novel “Spirit of the North” ends up being a cab driver and taking Lyla and Bel out for pancakes at night. Susan: You mentioned Lyla appeared in previous books and also Sybil. Why do you like to keep reintroducing your characters, and for those who’ve read your other books, are there any other characters in “The Best Place” that they may like meeting again? Tyler: First, let me say that with the exception of the three books that make up The Marquette Trilogy, which should be read in order, all my novels can be read individually and in any order. People who haven’t read my previous novels won’t miss out on anything if they read “The Best Place” first, but if you’ve read my other novels, you’ll find many people reappearing, some of whom are well-known characters, others who barely appeared in more than one scene. For example, in this novel Mr. Newman is an elderly man. In my first novel, “Iron Pioneers,” he is part of the boating party when Madeleine Henning supposedly drowns in 1876. His name is Matthew in that book, and I didn’t give him a last name, but over the years, he’s developed in my mind until he appears in this novel with a last name. In fact, I’m toying with writing an entire novel about him down the road. More familiar characters in this novel include the Whitman family who appeared in my trilogy, including Bill Whitman who turns out to be Lyla’s ex-boyfriend and his sister Eleanor, now ninety-three and still trying to get Bill and Lyla back together nineteen years after they broke up. Susan: The book is also very funny. Would you share with us a funny passage from it? The Pancake House is our favorite restaurant and everyone there knows our names. It’s about the only place in Marquette to get breakfast other than Tommy’s since the Big Boy burnt down. I guess they’re going to rebuild the Big Boy, but they’re sure taking their sweet time about it. I hate the “So, what are you doing tomorrow?” question. It’s so unfair. I know it means that she wants something and isn’t just asking because she’s interested in what I’ll be doing. When she pulls that, I don’t know whether to tell her what I’m doing, or to admit I’m not doing nothing, or to come up with some fake things I’m doing just so I don’t have to do whatever it is she’s holding back on telling me she wants me to do, but I can’t tell her I’m doing such important things that I can’t cancel them without being caught in a lie if I do want to do what she wants me to do. I should probably just tell her to quit asking me that unfair question, but if I tried to explain to her what’s wrong with it, she wouldn’t get it anyways. Like I said, she’s got a bit of a screw loose sometimes. “Yeah, I can do that,” I says. See, why couldn’t she have saved the “What are you doing tomorrow question?” and just asked me if I’d go with her to her doctor’s appointment? I mean, I’ve gone to doctor’s appointments with her lots of times and never complained about it, so what’s the big deal? “Eight a.m.?” I groan. There’s another morning where I won’t get my coffee. Not that I can’t get up to have coffee a little early. It’s just, I don’t feel right if I don’t have a bowel movement in the morning, and I can’t seem to have one unless I have two cups of coffee first, and I know my body isn’t going to be up to doing that before eight o’clock no matter how many cups of coffee I have. She doesn’t reply to my moan. I guess she’s distracted thinking about her doctor’s appointment. I don’t ask her why she’s going. I’ll find out soon enough tomorrow when we get there. I focus on drinking my coffee. Then it hits me. “Yeah, it’s Tuesday and tomorrow is Wednesday,” she says. “Oh, I forgot,” she says, looking kind of pale like she’s embarrassed. She’s done a lot of stupid things in her life but I never saw her look embarrassed like that before. If I hadn’t just had another cup of coffee, I’d be seeing red now. She’s so looney she’s starting to confuse me. Susan: Lyla’s best friend Bel is a recovering alcoholic and there are references to the Twelve Steps and other recovery groups in the book. Is she inspired by anyone you know? Tyler: No, Bel is completely fictional. It’s hard to remember how she evolved as a character. I will say that there’s a revelation about her character toward the end of the book that surprised me a great deal. I didn’t know that was going to happen. But Bel first appeared in a minor scene in “Narrow Lives” where she’s sitting in a bar with Lyla and kind of drunk. That led to my depicting her as an alcoholic. I also saw the film “The Lois Wilson Story” when it was on TV’s Hallmark Hall of Fame a few years ago, about the wife of the founder of Alcoholics Anonymous. That made me interested in creating a woman’s group in the novel, sort of a support group. I don’t depict any AA meetings in the novel, though Bel says she goes to them, but by creating more of a general women’s support group, I was able to have her drag Lyla along, which results in some interesting turns of events in the novel. I also did research on and already knew a lot about Twelve Step programs from having edited so many self-help books, so I drew that into the story, although I did not model the women’s group in the novel after any specific program. Susan: That brings me to wanting to bring up who you dedicated the book to, someone very special I understand? Tyler: Yes, Susan, our former boss and colleague, Irene Watson, who founded Reader Views. A lot of what I know about codependency, dysfunction, etc. I learned from working with Irene. I had the privilege of editing her books “The Sitting Swing” and “Rewriting Life Scripts” and learning a lot about recovery from her. Irene was always blogging about self-help and recovery issues. She also was very supportive of self-published authors, having founded Reader Views as a book review service that grew into a publicity service because she couldn’t get reviews for her own book. Sadly, Irene lost her battle with cancer on November 3, 2012. But her positive energy and desire to help people be well and freed from the dysfunctional cycles they were caught in made me decide to dedicate the book to her. I’m sure she would have understood Lyla and cheered her on during her journey. Susan: Why should readers care about Lyla’s story if they’re not senior citizens like her, or Finnish, or have never been an orphan? Tyler: Like I said, I’m not Finnish, I’m not female, and I’m not seventy-seven years old, but I think some of Lyla is in all of us. The book is told in first person so we’re constantly in her thoughts, and she thinks things that I think many of us would like to say, and in a sarcastic manner that I personally think can be quite hilarious—and my readers so far have agreed with me—but I think most importantly, her desire just to be loved, her self-esteem issues, her desire for meaningful relationships, and her attempts to connect with her roots and make amends to those she’s hurt or been hurt by all are issues and parts of life we can all relate to. I think we all want to feel important, valued, and connected to others. It’s kind of like what Lyla comes to realize when she’s at Finn Fest: “Finally, when the ceremonies are all done, the crowd claps and cheers, and I get that same feeling I had the day before, that we’re all connected, we’re all one big happy Finnish family, even though some of us may be Catholic rather than Lutheran, or have English or French Canadian or German or Norwegian or Swedish blood mixed up in us.” In other words, we’re all human, and “The Best Place” is a very human story. Susan: Well said, Tyler. Before we go will you tell us about your website and what additional information we can find there about “The Best Place” and your other novels? Tyler: Sure. My website is www.MarquetteFiction.com and it’s full of information about my novels and Marquette’s history, including a timeline of Marquette history, some fun quizzes to help you determine which of my characters you’re most like, a page of my character’s family trees, and upcoming events I’ll be at. You’ll also find links there to other Upper Michigan authors’ websites, as well as to my other websites www.GothicWanderer.com and www.ChildrenofArthur.com. Stay tuned for my King Arthur book series coming soon, and thank you again, Susan, for the opportunity to talk about my new book. You are currently browsing the MY MARQUETTE weblog archives for October 2013.